Posted by Unknown , 06:47 Be the first to comment! PCSX2 Emulator is used to play Play Station 2 games in computer, PCs and in laptop. 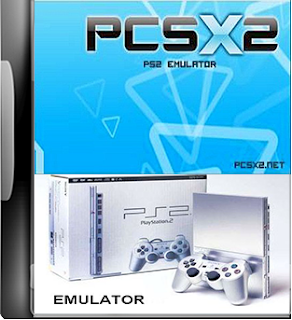 As the gamer want to play new and latest games in their personal computers and some time it is hard for new gamer to run the play station PCSX2 game in their computer so i have decided to provide you the new and latest version of PCSX2 empulator which has more enhanced features like completely new GUI made wth wxWidgets. The new GUI has improved Linux support for users. The newer version of PCSX2 emulator which is used to play games of Play Station 2 in computer automatically applies patches and compatibility hacks. The improved sound generation and filtering is made possible with SPU2-X sound plugin. This PCSX2 emulator has been tested for almost 1500 hundreds games and result was above 80% that mean 80% games are playable with this pcsx2 emulator without any changes while 20% required some changes. We have also presented a full tutorial of How to Run PlaySTation 2 Games in Computer you must check this tutorial to find how to run the Play Station Games with this PCSX2 emulator. Please Like www.fastpcdownload.com on facebook. This is mediafire direct and fast download for all our users.